So you’re in the market for a new wood crate manufacturer and being proactive this time around is top priority! Valley Box agrees this is a smart approach and fortunately, there's an easy way to stay several steps ahead. Before jumping into business with a new packaging provider, you’ll need to ask questions. Knowing the answers to some of the most critical Q's will help your business foresee problems before they start. Share these Top 10 questions with your associates! The wood crate manufacturer’s years in business will help you understand the depth of its understanding and involvement in the industry. Be wary of company's boasting a "combined" knowledge, often times they add up all the years of experience between the staff members. Instead ask when the company was founded, if a shipping crate manufacturer can say it has been in the industry for decades, you’re off to a great start! Answer: Valley Box has specialized in packaging manufacturing industrial grade custom packaging for oversized and delicate items since 1964. That’s more than 50 years of experience! Q2. Can you send me a Capability Statement? A capability statement should define precisely what the company is offering, what problems they can solve, and what benefits they bring to a prospective client. Get the wood crate manufacturer's official capabilities to keep on file for future bids. Answer: Valley Box’s Capability Statement is available for download from the Valley Box website. 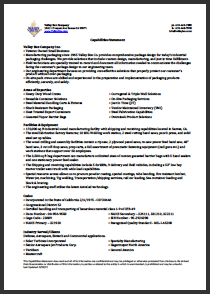 Download Valley Box’s Capabilities Statement now! Q3. What’s your range of packaging manufacturing? The answer to this question will help you to gauge the packaging provider’s capabilities. Do they specialize in one type of packaging, for instance, die cut corrugated or heavy duty shipping crates? Can they source a broader range of products at wholesale prices? Answer: Valley Box offers packaging manufacturing of wooden boxes, reusable wood containers, trade show boxes and barrier bags. Q4. Do you provide free quotes? Most companies who offer packaging manufacturing should be able to provide you with a free quote to package your product. Answer: Valley Box's trained packaging experts will conduct a complete assessment of customer's products then highly experienced packaging engineers develop cost-effective solutions. All of this is done free of charge. Q5. Can you meet my deadline? 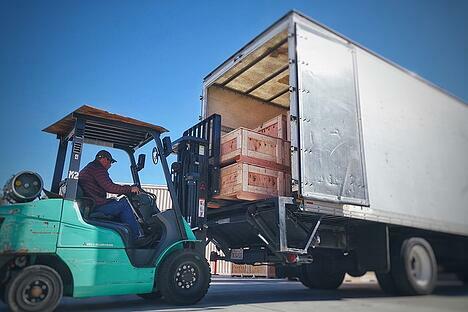 This question will help you determine if the wood crate manufacturer can deliver on time. Obviously at this point it’s just promises and the company may say they "can meet your deadline" but then fall short. However, asking for a commitment up front for timely deliveries will communicate to the vendor that you'll be evaluating their delivery performance. If they don’t meet your deadlines, it’s up to you if you want to give them another shot or try another vendor. Answer: Valley Box utilizes Just In Time (JIT) deliveries, which is a practice that is used in many industries to assure that production is not interrupted by shortages. Unexpected shortages can lead to a halt in your production line, delivery delays, cost overruns and dissatisfied end users. Q6. How long is your lead time? Knowing the packaging provider’s lead time can help you to calculate the latest possible moment you can submit a purchase order and get your packaging in time to meet your shipping deadlines. Answer: Valley Box's lead time varies from 1-5 days depending on the project. Complex projects may require more lead time. Q7. What can I expect from your customer service? Knowing what to expect from the shipping crate manufacturer’s customer service team will help you to manage your expectations while embarking on this new vendor relationship. Will you have one point of contact within the wood crate manufacturer? Do they perform on-site measuring and pack jobs? Will you receive order confirmations and billing notices? Answer: Valley Box feels that customer service is an attitude, not a department. In order to accomplish this, trained packaging consultants take the time necessary to understand fully each client’s packaging needs. Packaging Experts will visit their customer's work site, take precise product measurements, gain an understanding of the production and distribution line, learn about the capabilities of all end users, and obtain a clear understanding of all special requests. Then Valley Box packaging engineers develop a packaging system that will maximize cost-effectiveness, meet all storage and shipping requirements, reduce waste, and improve operational efficiency. This question will help you to determine if the shipping crate manufacturer is willing to stand behind their packaging design and construction. Answer: Valley Box guarantees its products to be built in accordance with customer’s product specifications and industry standards of practice. Valley Box will provide the packaging and/or services set forth in the quote provided and accepted by the customer. 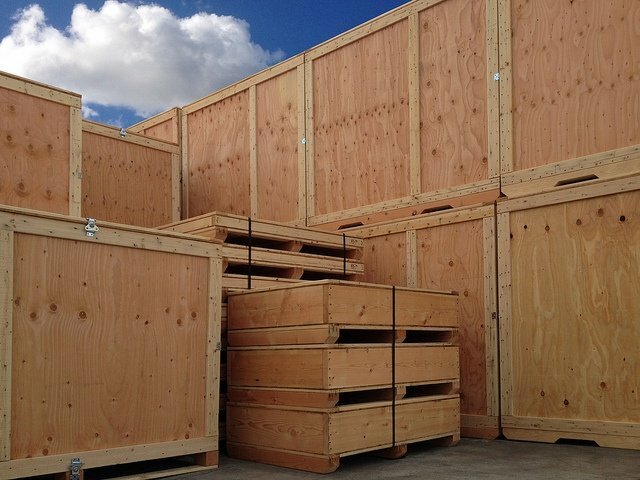 Customers have the opportunity to review and inspect the crates, packaging materials, design, and methods used and warrant that such materials and procedures meet their requirements and specifications. Download a copy of the Valley Box Guarantee. Q9. Which certifications do you have? Some customer contracts dictate that vendors must have certain certifications. Packaging manufacturers should be able to quickly tell you what certifications they have. Q10. Do you carry eco-friendly products? If becoming more "green" is in the cards for your company, then you may need to assess your eco-future with your new packaging vendor. Ask them if they have current eco-friendly products. If not, ask them about their plans to incorporate green products in the near future. Answer: From Valley Box’s engineered designs to their packaging manufacturing and management services, we make efforts to bring customers sustainable value in at least 10 distinct ways.